I’m in a bit of a conundrum. You see, my heart is longing for the end of summer and the start of fall, but I’m not ready to give up ice cream (the most quintessential summer dessert) yet. Sure, there will still be plenty of warm days after the official start of fall, but ice cream just seems like it belongs in the summer months. 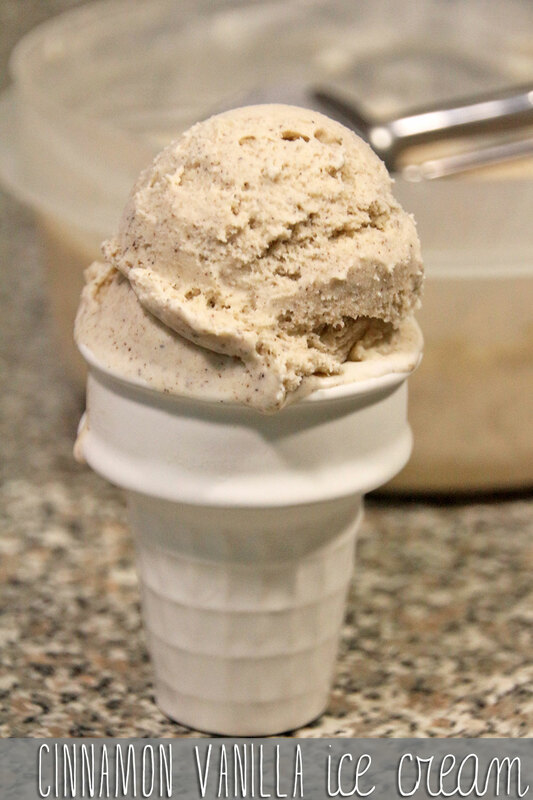 So, I did the only logical thing, and made an ice cream that just screams “fall!” This Cinnamon Vanilla Ice Cream is the best of both worlds – the perfect blend of summer and fall. It kind of makes me want to break all the rules and serve this as a dessert on Thanksgiving. It’s such a rich, creamy, cinnamon-y treat, and I bet it would pair nicely with pumpkin pie. Yeah, I hope my family is ready for this come November. 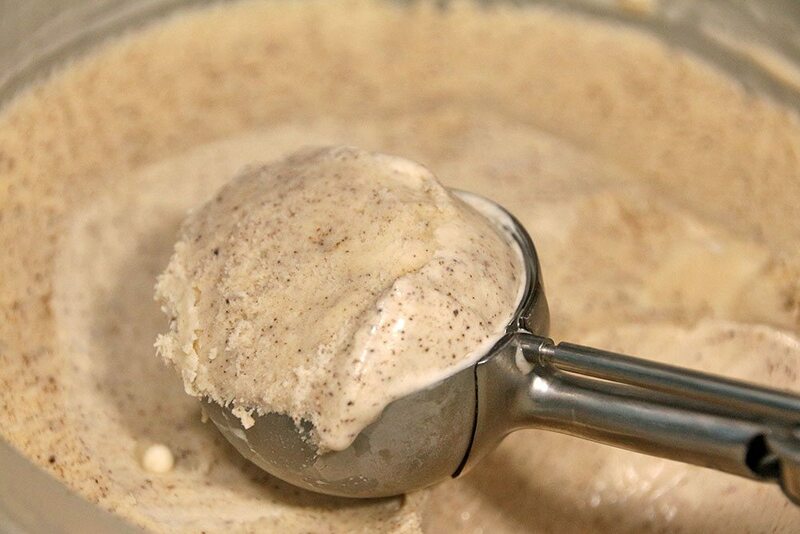 To make this, I used the vanilla ice cream base from this Golden Cookies and Cream Ice Cream, and then added in a bunch of cinnamon – so easy! 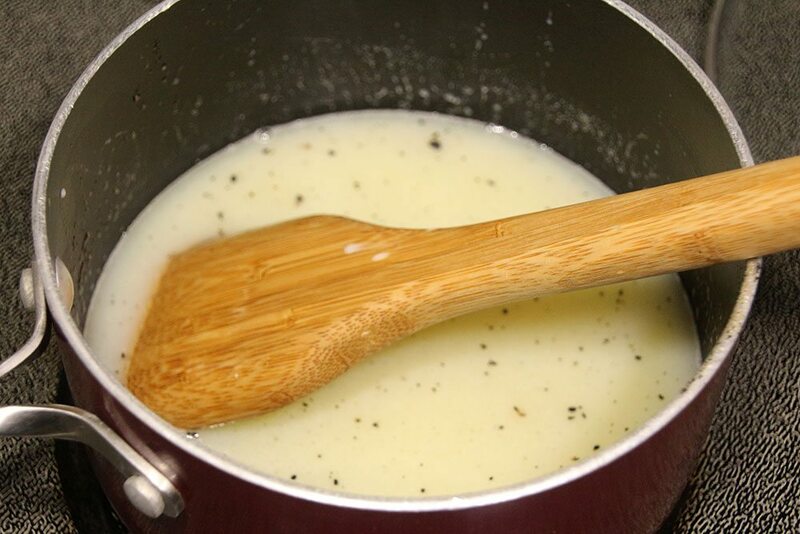 Combine 1 cup of the heavy cream, sugar, and salt in a medium saucepan. 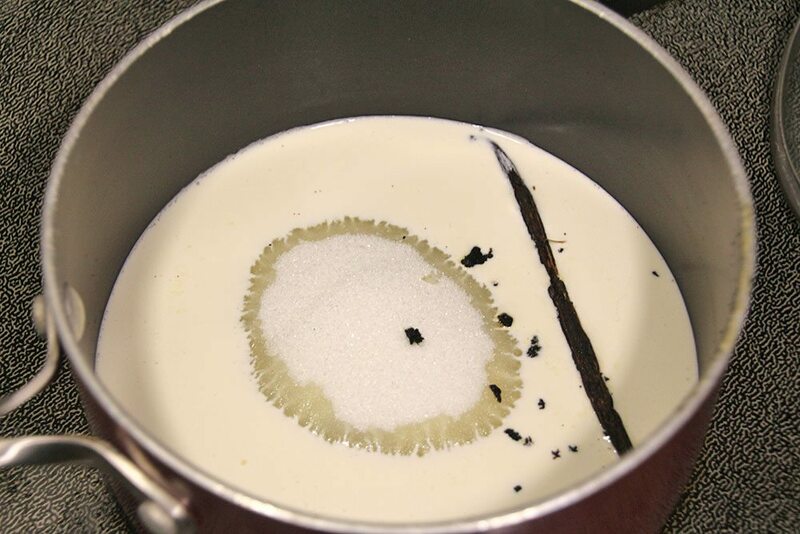 Scrape the seeds from the vanilla bean into the mixture and add the pod to the pot as well. Warm the mixture over medium heat, stirring until the sugar is dissolved. 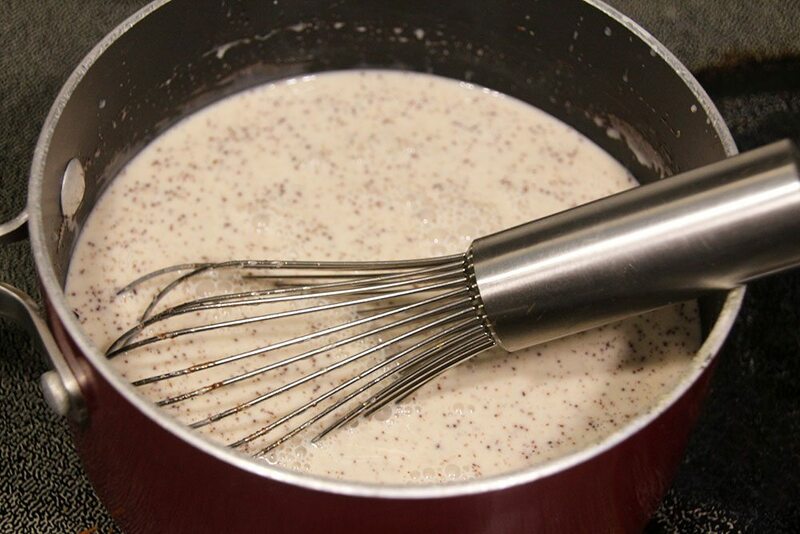 Remove from heat and add the remaining 2 cups cream, vanilla, and cinnamon. 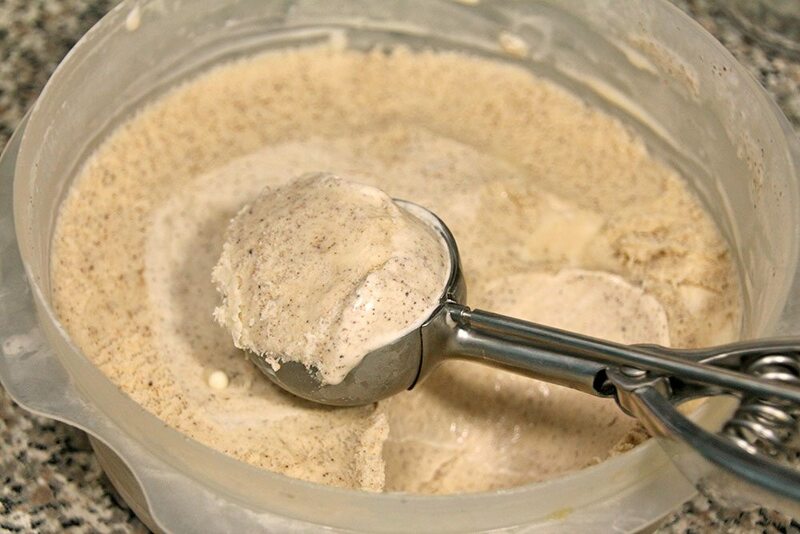 Refrigerate for several hours (I let it sit for about 5 hours), then remove the vanilla bean pod and pour the mixture into the ice cream maker according to the manufacturer’s instructions. 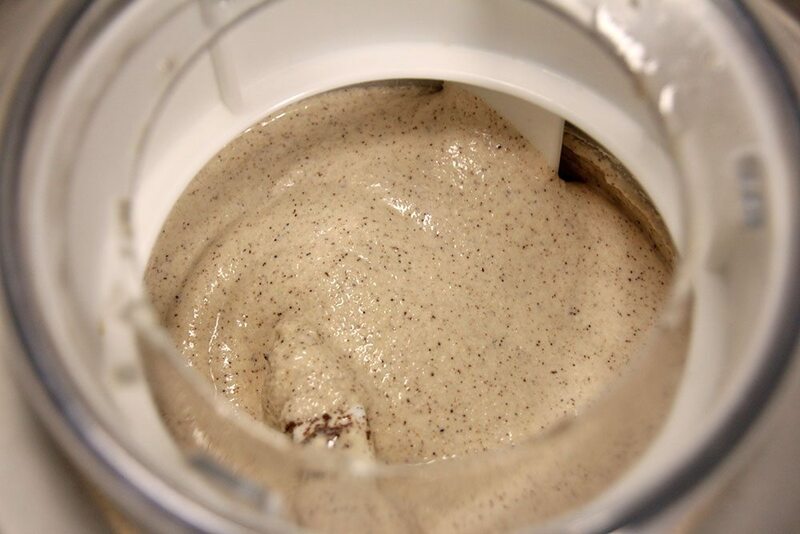 Serve immediately as soft serve or freeze for several hours for a more traditional ice cream texture. 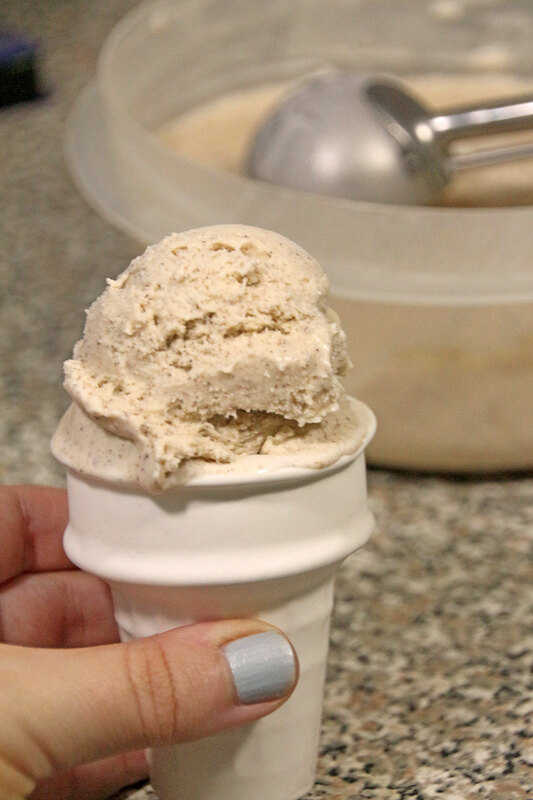 What’s your all-time favorite ice cream flavor? Did you catch my post on Chili’s at Home? Check it out! 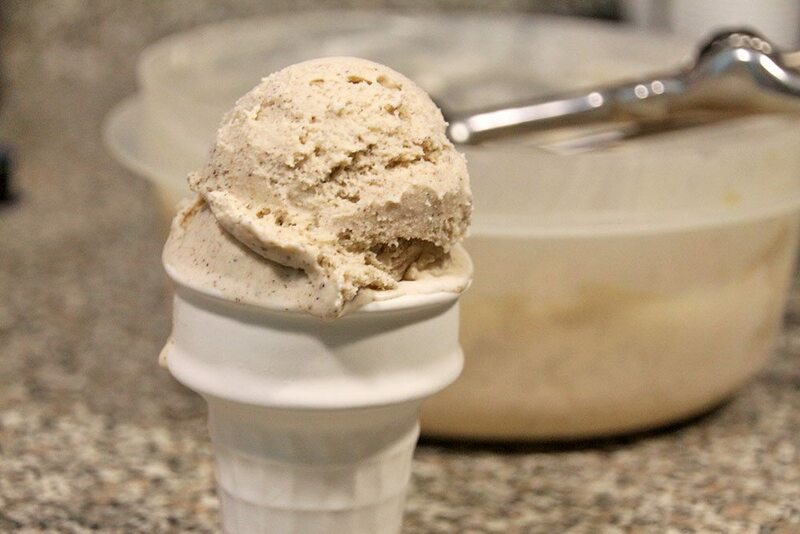 I’m loving all of these ice cream recipes! We just got a new ice cream maker as a wedding gift and are so excited to use it!! Your instagram post has had me so curious about this ice cream and it sounds amazing!! The perfect way to taste a little fall even when the temps are warm. 🙂 Thanks for sharing!